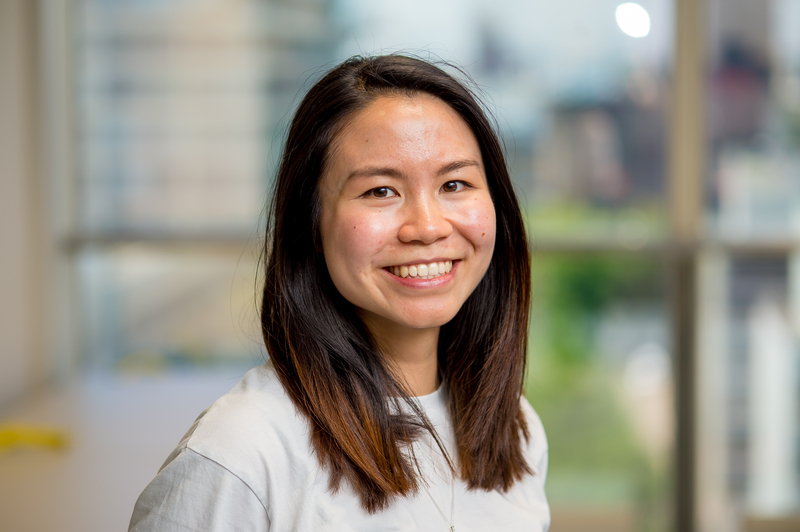 Rainbow Lo is undertaking a three-month placement at the University of Hong Kong in the lab of Professor Vivian W.W. Yam, a world-renowned chemist who has made substantial contributions in the field of coordination chemistry. Rainbow was blow away by Professor Yam's research and passion for science after hearing her speak in a lecture series at Imperial College London and subsequently approached Professor Yam about working in her research group. She was granted funding for the placement from the Stevenson Fund. Tell me a little bit about you and your PhD project. At undergraduate level, I studied Natural Sciences majoring in Synthetic Organic Chemistry with a minor in Biomedical Sciences. Before joining the CDT in Medical Imaging, I was fortunate to have the opportunity to work alongside some fantastic individuals during a few summer internships. From high altitude bioprospecting balloons and rockets, to the synthesis of microbubbles for photoacoustic imaging- all of these experiences have shaped the scientist that I am today. My project involves the synthesis of small molecule compounds which bind to and stabilise higher order DNA structures called G-quadruplexes (G4). These tetrahelical assemblies are likely to contribute to various cellular processes such as regulation of gene expression, telomeric maintenance and DNA replication; therefore they could play central roles in cancer biology. Stabilisation of G4 could lead to modulation of transcription in oncogene promoter regions and inhibition of telomerase in telomeric regions. Consequently, there is significant interest in developing small molecules that can target and stabilise these structures and in doing so act as potential anticancer therapeutics. I am interested in taking this one step further by modifying my probes so they can be applied toimaging. How did the Hong Kong opportunity materialise? Professor Vivian W.W. Yam is world-renowned chemist for her substantial contributions in the field of coordination chemistry. In 2016, she visited Imperial where she was delivering her RSC Ludwig Mond lecture series (of which she was the 2015 Award recipient). During the lecture, not only was I blown away by her research on luminescent d6, d8 and d10 metal complexes but also her passion for science. Her visit left a lasting impression on me and I decided that one day I would like to work in her group to learn more about the synthetic and photophysical techniques they use. To make this a reality I applied for the Stevenson Fund (with the permission of my supervisors) and fortunately I am one of the three 2018 recipients. The bursary I have received from the Stevenson Fund will enable me to carry out a three month placement in Prof Yam’s lab at the University of Hong Kong. For part of the placement, I will be further characterising the photophysical properties of probes I have synthesised during my project so far. For instance, by discerning the finer spectroscopic details arising from these complex charge transfer transitions using state-of-the-art instrumentation. This is one area that Prof Yam’s group have a lot of expertise on. The key thing I hope to get out of the placement is to learn new things and gain experience working in a different lab environment. It would be great to expand on the synthetic methodologies and techniques for photophysical characterisation while in Prof Yam’s lab. What do you imagine will be the biggest obstacle? With any research project, there are a lot of unknown variables so anything can happen. The most important thing is to keep your head up and persevere. The aims we have set for the placement will not be trivial to achieve but with the right amount of energy and determination, I will accomplish a favourable result.